It's Friday...and it's also the first of the year! Happy New Year! 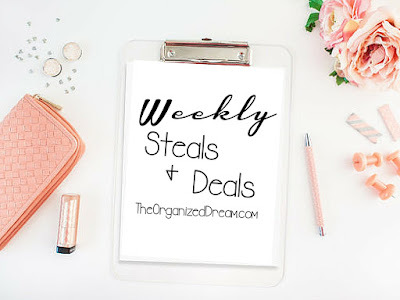 This week, instead of my usual Friday Favorites post, I wanted to share with you some great deals. Everything featured here is from Jane.com! I found Jane a while ago and love the deals that they have on anything from home to kids. I've found a lot of great things in the past. Here are a few things that you can score big on this weekend. This Ruffle Tunic is so adorable and perfect for the cold days of Winter. There are 10 colors to choose from, but I'm in love with the tan tunic pictured in the middle with that amazing plaid scarf. Originally priced at $42.00, it's on sale starting today for only $18.99. I'm obsessed with this Plaid Poncho! It's one of my favorites featured today. I like the way the model pictured below is rocking it, but I also think it would even look great with a pair of leggings or even a dress! This beauty was originally $60.00 and is 50% off! You can snag this for $29.99! 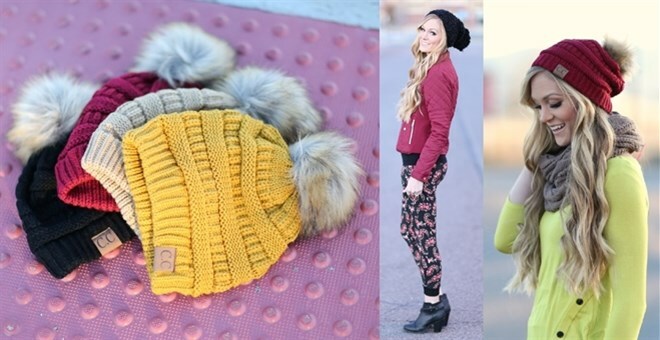 Pom Pom Beanies! These are oh-so cozy and super cute! You can choose from four different colors and get almost 50% off! They're priced at only $11.99! I love tunics because they're so versatile. You can wear them with skinny jeans or leggings for a more comfy look. 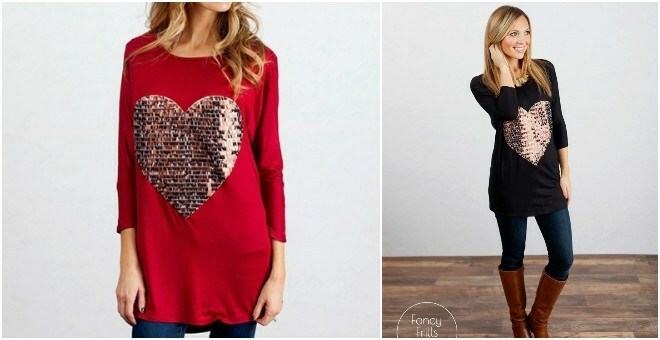 These Sequin Heart Tunics are so pretty and would look great for a day out with friends or a night out. These tunics were originally priced at $44.99, but you can purchase one now for $19.99. Great deal, huh? Looking for more great deals? Check out these items for great prices while you still can! Target: Take 20% off clearance items using code EXTRA20 at checkout. Take advantage of their free shipping on purchases over $25! Old Navy: Get up to 60% off Sitewide (even clearance) or up to 75% off in store (even clearance) in store for their after Christmas sale. Get free shipping on orders over $50. Walmart: Check out closet must-haves and get free shipping on anything with free pick up and free returns! Macy's: Save 25% off select North Face at Macys.com and free shipping on orders over $99. Victoria's Secret: Shop Pink and get up to 50% off, up to 60% off almost any sports purchase and up to 40% off select sleep styles!